Hydrex® modular sewage treatment plants offer rapid deployment solutions for various types of wastewater treatment. . These, in conjunction with our water storage and purification systems, take care of waste and waste water arising from for small communities and settlements. Our systems are suitable for a single household through to small municipalities. The modular design makes them relatively easy to transport and install anywhere in Africa. Smaller plants can be above ground while the larger plants are generally installed at ground level. Civil works on the smaller plants are minimal. 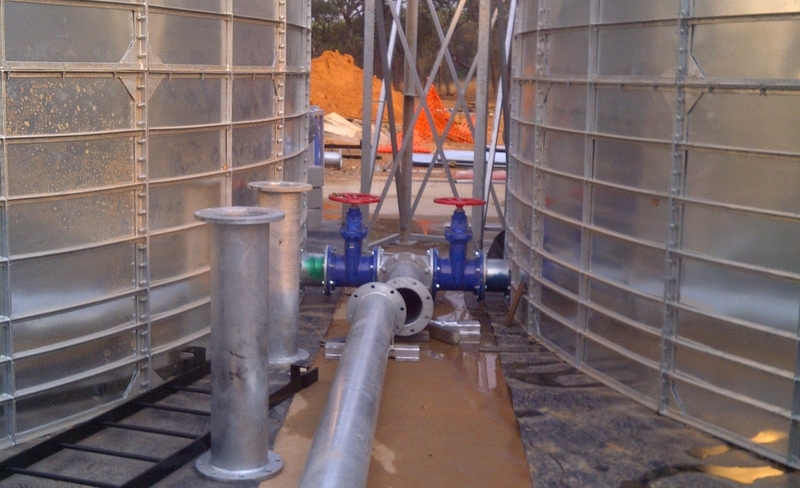 Our modular designed plants are ideal for shipping anywhere into Africa. Plant design and waste water solutions for sewage plants, slaughter houses, oil (hydrocarbon) contamination and general industries. Maintenance programs to existing plants. Pump and aerator repairs to plants. Biologic bacterial enhancement programs to assist with overloaded digesters. Temporary storage and processing solutions. How do Biologik bacteria assist in digestion and break down of fats, greases and nutrients in waste water? Bio Solids are a slow dissolve, bacterial laden solid, for use in degrading organic waste and grease. The safe, naturally occurring bacteria are present in high numbers to handle difficult organic problems. The unique solid will gradually dissolve which allows for continuous treatment and degradation of waste. The naturally occurring bacteria contained in the solid will reduce odor, sludge, fats, oils and grease buildup. Provides round the clock waste degradation treatment with a simple, easy to use system. Simply suspend the solid into the treatment area, allowing the solid to be submerged in direct water flow. The solid will dissolve over a 35-120 day period, depending on size and flow rates in a typical grease trap providing optimal efficiency and treatment.